Hi again, Made from Pinterest readers. 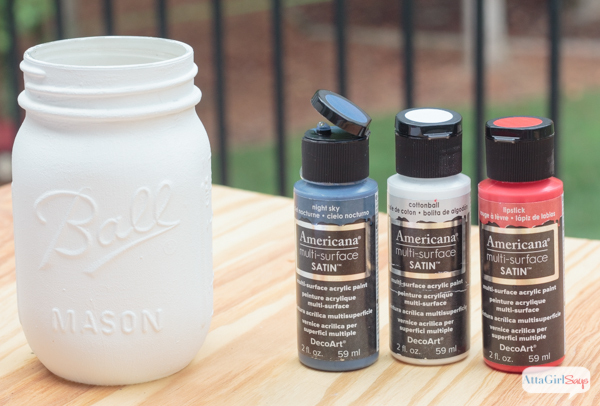 It’s Amy from Atta Girl Says, and I’m back with an all-American craft that’s sure to be a hit with baseball fans. See what I did there? Hit? Baseball? I just love a good play on words! 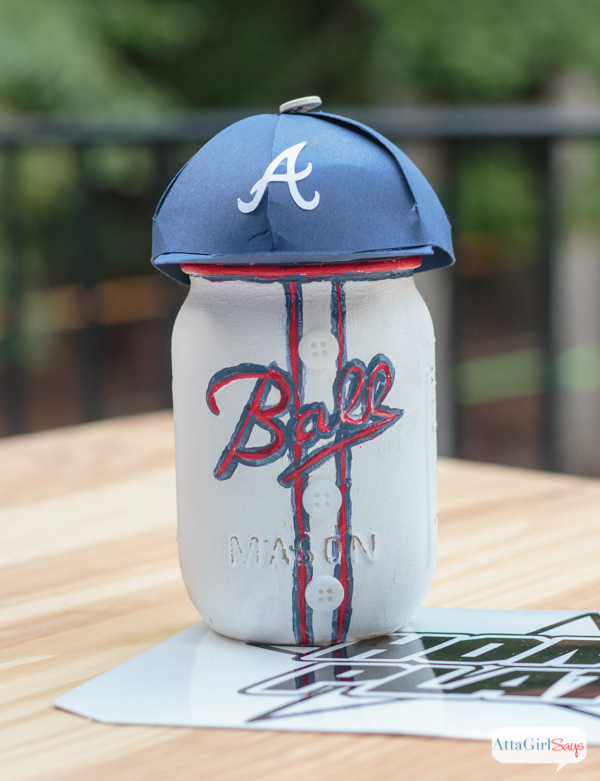 This tutorial references a lot of things I love — mason jars, painting, paper crafts, Pinterest and my husband, who is a big Atlanta Braves baseball fan. One night, I was scrolling through Pinterest, and I spotted the cutest painted mason jar from my friend Linda of It All Started with Paint and Mason Jar Crafts Love. 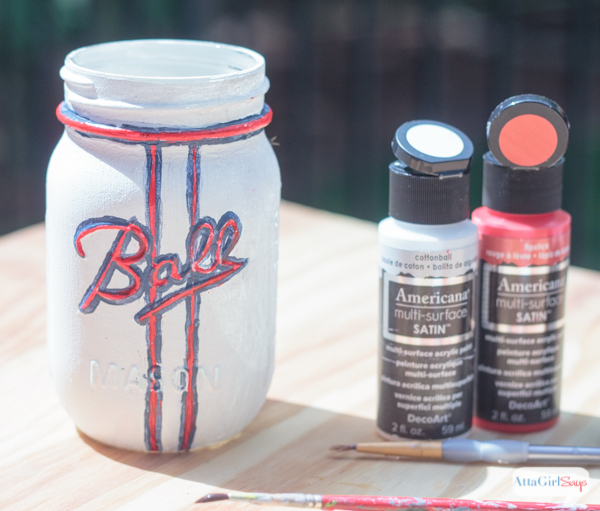 Linda lives in the Chicago area, so she’d painted a mason jar to look like a Cubs jersey. 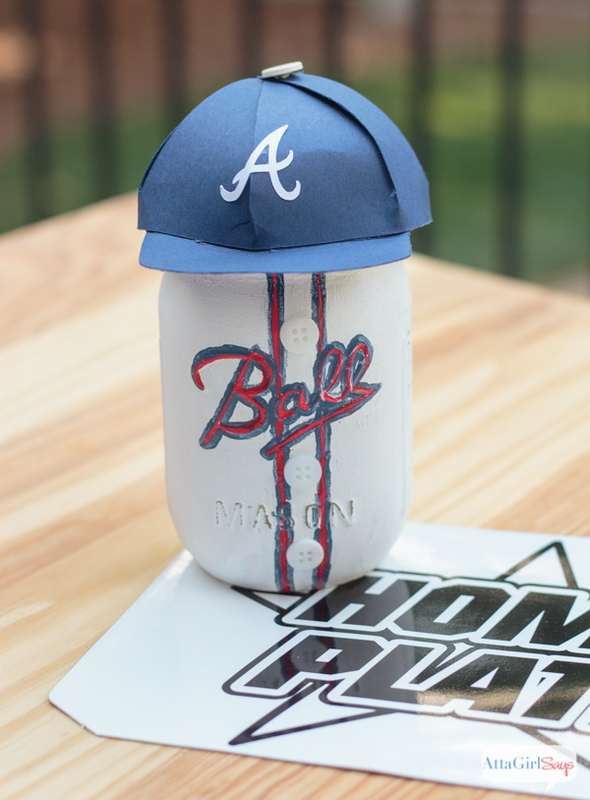 I used her tutorial to make my Braves version of a mason jar jersey. 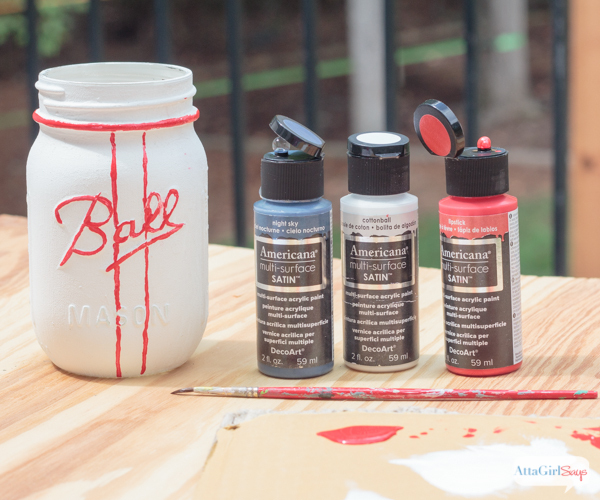 I started out by painting a clear glass mason jar with several coats of white paint. 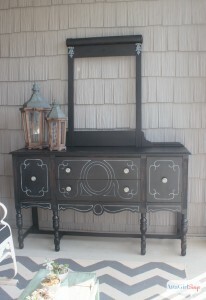 I like to use chalk paint because it gives the best coverage. On an Atlanta Braves jersey, the team name is written across the players’ chests, with a tomahawk below it. The letters are red, outlined in blue. There’s also red and blue pinstriping along the placket of the jersey. Rather than trying to paint “Braves” on the jar’s bumpy surface, I decided to just outline the raised “Ball” logo in red paint. My jar might not say “Braves” on it, but it definitely mimics the look of the team’s jersey. especially with the red striping. Next, I used a fine point paint brush to outline the lettering and pinstriping in blue. 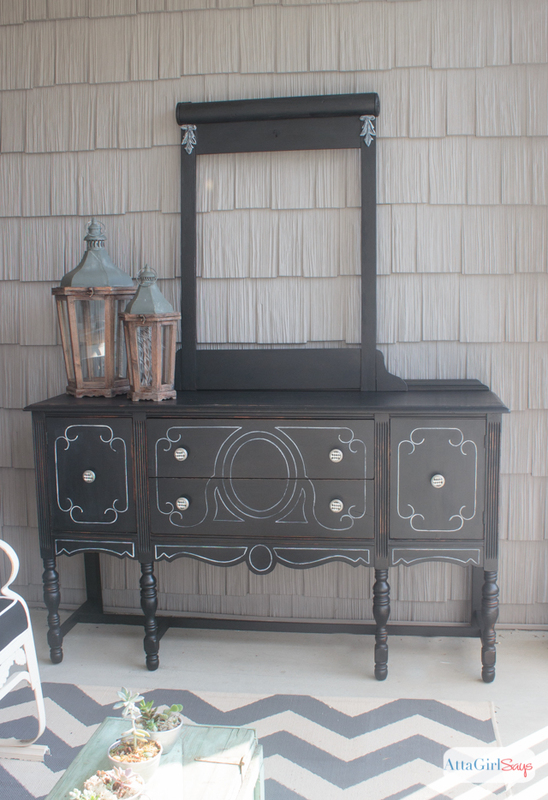 It helps to have a steady hand — or to have some white paint on hand for touchups! Next, I used super glue to attach some tiny white buttons down the jersey’s placket. I also made a paper baseball hat, using this tutorial from Childmade. Rather than cutting out the hat by hand, I used my Silhouette cutting machine. I also used my Silhouette to make the A on the cap. 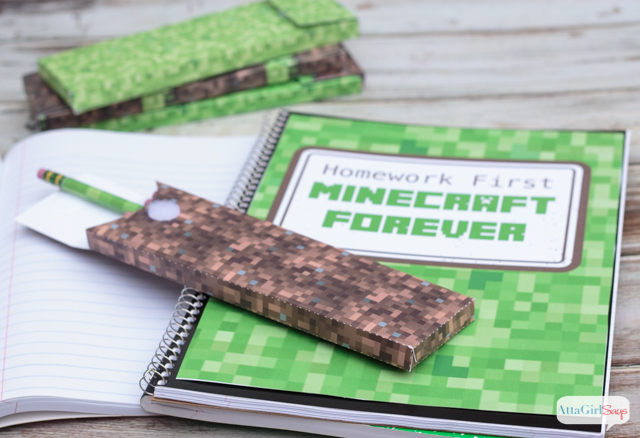 You can also use team stickers, as the original tutorial did. I’m really loving how this painted mason jar turned out. 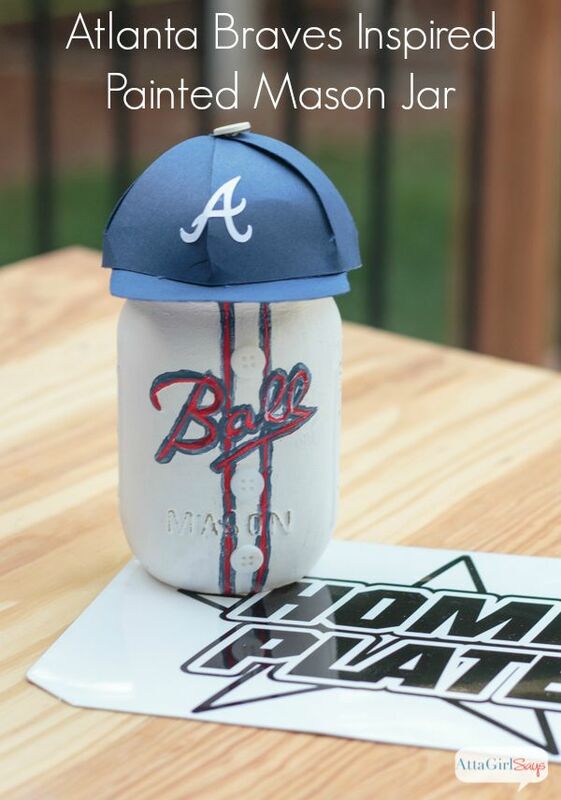 It would make the cutest gift for a baseball coach or player or a Braves fan. 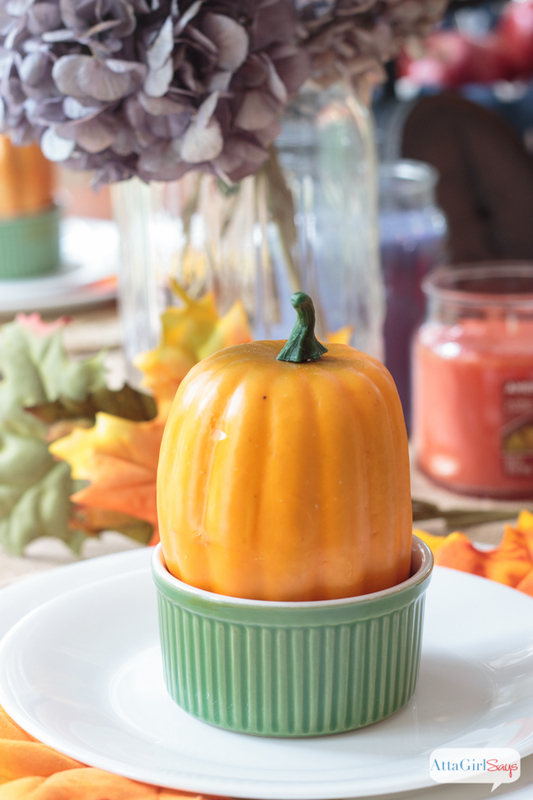 You could surprise someone by hiding tickets inside the jar! You know, the World Series is coming up soon and so is my husband’s birthday. Nah, not happening. But it’s a nice thought. So, what’s your favorite Major League baseball team? I’d love to see a mason jar version of every professional team’s jersey! I’ll hope you’ll stop by Atta Girl Says for a visit. You never know what I’ll be up to! 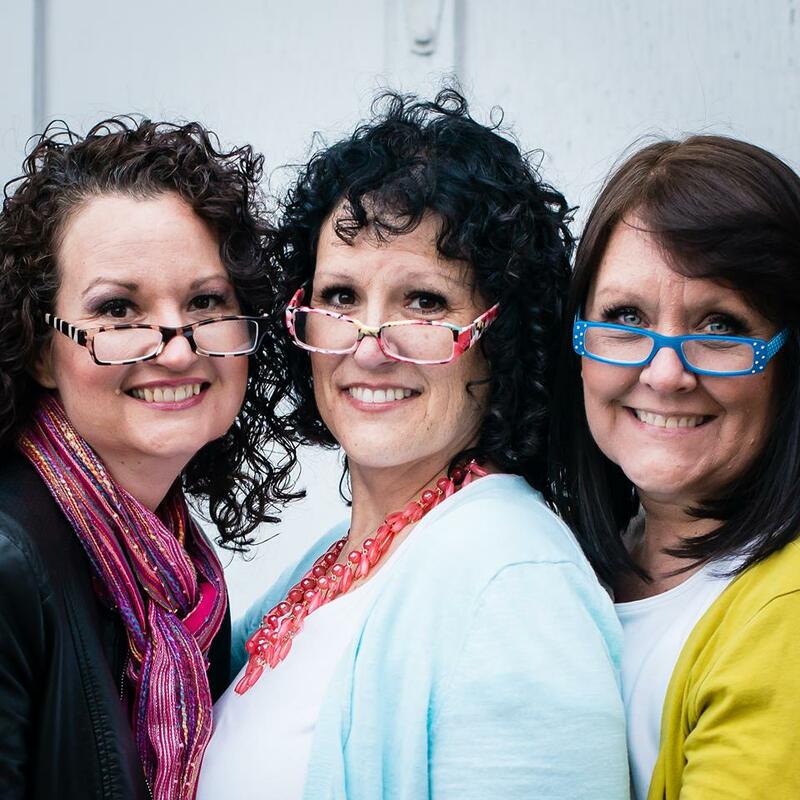 I’d love to have you join me on Pinterest, Facebook, Twitter or Instagram. Here are a few crafty things I’ve been working on lately.